Norwich, United Kingdom’s progressive metallers Synaptik have had a busy 2017 already, having just re-released their début album, “The Mechanisms of Consequence”, as a heavier, remixed edition back in January. And now they are set to make an even bigger impact with their sophomore album, “Justify & Reason”. 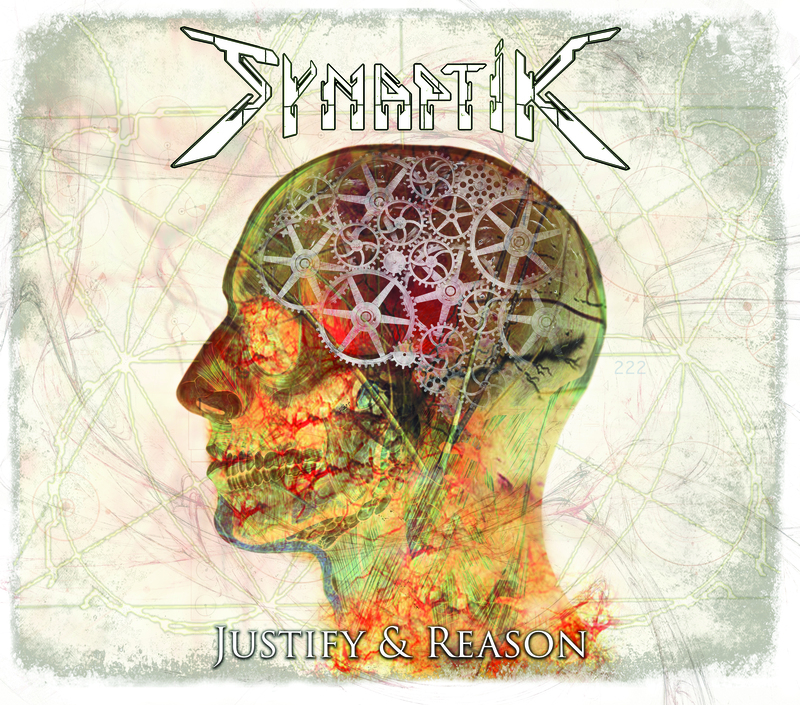 Synaptik is known to take influences from the likes of Queensrÿche and Dream Theater, combining the epic proportions of heavy metal and power metal with prog. Over the years, their impressive songwriting and live energy has managed to put them onto bills headlined by the likes of Iron Maiden and Exodus. Synaptik like to show their intelligence in their songwriting — both musically and lyrically. The opening track, “The Incredible Machine”, talks about the mystery of how the human brain works which, when you consider the name of the band in relation to synaptic nerves and their connection to the brain, is an obvious link. Musically, the band throws in a mixture of thrashy riffs and some crunchy grooves in the heavier segments, yet with melodies also coming in and vocalist John Knight’s Bruce Dickinson-inspired voice soaring above the calmer tones. The real attention-grabbing moment comes with the mind-blowing technicality in the intricate guitar solos that provide us with some great shreds and fiddly segments. The opener sets the tone for what to expect and “White Circles” takes those extremes a bit further. The calmer parts of the song are far more soothing and this just makes the vicious-sounding vocals and dominating riffs stand out even more. The highlight moment comes after yet another impressive display of guitar solos, when Synaptik’s ferocity punches hard by virtue of a barrage of intense chugging riffs backed by an erratic display of drum work. Even if you are only half-listening to this song, that brutality will grab your attention like no other. “Conscience”, on the other hand, grabs my attention in a different way. The opening guitar melodies are almost identical to Lamb of God’s “Again We Rise” — the tone is scarily similar, featuring that same eerie intro hook. This is one of the better songs still, maintaining the anger and ferocity that shines in “White Circles”, whilst also unleashing the band’s proggier side through windy guitar grooves and interesting time signatures. The various different rhythms that appear on this track before the singing ever comes in are sure to have you captivated. To me, those are the real stand out songs musically on an album that touches on a mixture of deep topics, including grief, pain, misery and loss — all things everyone should be able to relate to. Other tracks have their ear-pricking moments, too, especially in the guitar melodies of “A Man Dies” and “As I Am, As I Was”, with the main focus firmly on the human psyche and how it affects society. As a whole, “Justify & Reason” is thus a solid release that combines multiple hooking factors, making it appeal to various tastes. 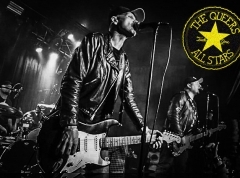 The ferocious side is there for the true headbanger, the awesome vocal talent for the listener that loves to sing along, and the impeccable musicianship for those that like to swing an air-guitar and -drum. Production-wise, this is a massive step up from Synaptik’s debut album but the songwriting, too, is much more impressive. These various combining factors make “Justify & Reason” a lot more approachable than its predecessor.